Asbestos Testing, Asbestos Inspection & Consulting San Antonio | Argus Environmental Consultants, Inc.
Asbestos is a group of naturally occurring minerals that are mined from the earth and have been widely used in the building construction industry. 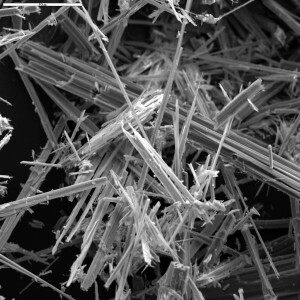 Exposure to airborne asbestos fibers has been demonstrated to have unique health effects on people and, as a result, asbestos containing materials are regulated by the Texas Department of State Health Services in the Texas Asbestos Health Protection Rules. The State Regulations apply to the interior space of a commercial building used or to be used for purposes that provide for public access. Commercial public buildings include schools, retail stores, office buildings, hospitals and medical offices, and apartment buildings with more than four dwelling units. Single family residential structures are excluded from the State regulations but may still contain asbestos materials in the building structure. State regulations require all public building owners to complete a thorough survey of the building prior to disturbing any materials inside. Your local city code compliance and permitting offices are directly responsible for the enforcement of the Asbestos Regulations and will require a report for a property prior to issuing a demolition, renovation, or remodeling permit. Give our office a call if you have any questions about the process for having your building inspected.